Digital PDF. Copyright © 2014 CCAS. 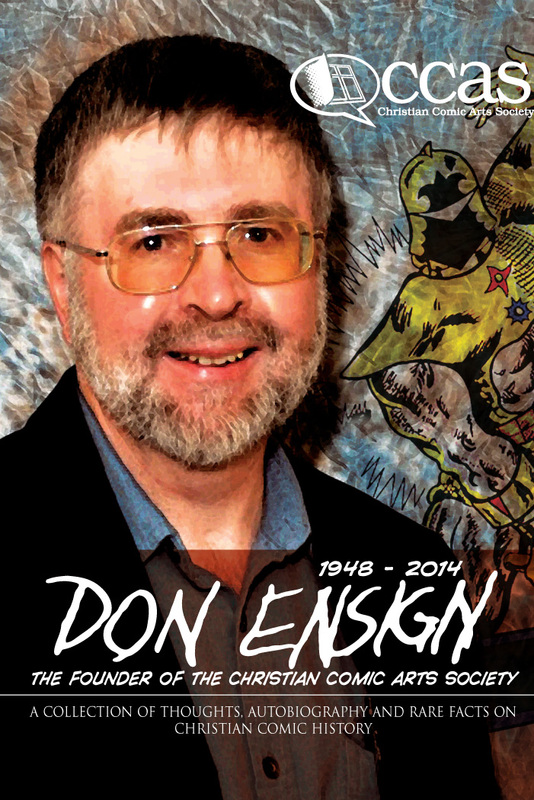 This booklet is a tribute to the founder of the Christian Comic Arts Society, Don Ensign (1948-2014). Don was a talented artist, storyteller, archeologist and comics-historian who has left us a body of work that will benefit future generations. Included in this booklet are some writings, memories and photographs of the early days of CCAS.